Arlenis’ father left the family while her mother was still pregnant, therefore, she has never known her father. Her mother does not have work and struggles to provide for Arlenis and her siblings. They live in a small, two room home gifted by Arlenis’ grandmother. 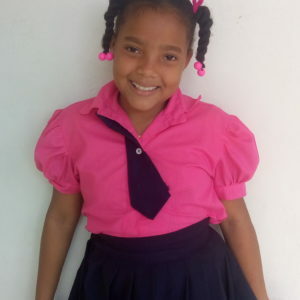 Arlenis’ favorite hobbies are playing hide n seek, praising God, and helping with chores at home. Her favorite colors are pink and blue.